In 1896, Essex county officials designated 325 acres of land as the new location of the Essex County Hospital for the Insane. Subjected to many paranormal investigations, full-bodied apparitions have been seen standing in Building 5. Located in what was then Verona and is now Cedar Grove, The site was selected due to its remote, high altitude location, which, it was believed, could provide a healthy, peaceful setting for patients to rehabilitate in. The complex came to be known as Overbrook, due to its location just beyond the Peckman River. In the winter of 1917, the hospital reported a boiler failure. Twenty people died, some from freezing to death, thirty two others suffered from frostbite. During the Great Depression Overbrook, became overcrowded with the hungry, homeless, and destitute. World War II food rations led to dismal living conditions and near starvation. At the end of WWII many veterans returned with shell shock or post traumatic stress disorder. Hospital staff could not cope with overpopulation and patient care suffered. There were escape attempts, violence among residents, starvation, neglect, abuse, and suicides. Many patients were subjected to barbaric treatments such as hydrotherapy, prefrontal lobotomy, and diathermy. 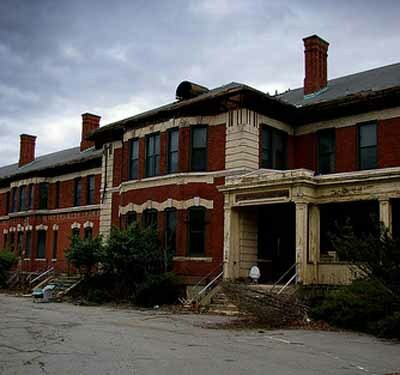 It's estimated over ten thousand patients died at Essex County Mental Hospital. Due to the use of new medicines, the patient population decreased during the 1960's and 1970's. In 2007, Essex County Mental Hospital closed for good. The grounds were turned in to a 90-acre county park. At the south end of the site, several buildings were demolished about a year later. At present the main hospital building survives, before its eventual demolition several Paranormal Investigation teams have been allowed to explore the property and its ghosts. The latest being American TV's Ghost Hunters, which found plenty of evidence that the building is indeed haunted. 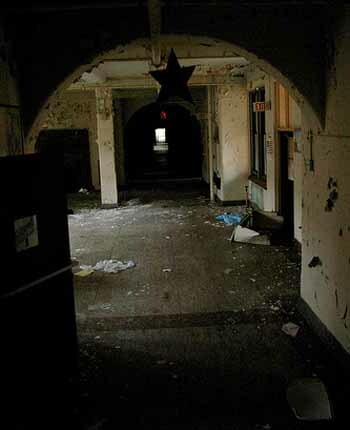 On the first floor of Building 5 people have reportedly seen full-bodied apparitions standing in the hallway and one worker felt someone touch the side of his body. While doing his rounds, the assistant hospital administrator, Tom Hamilton, had an overwhelming feeling of fatigue when he walked through a particular hallway. The hospital covers more than 365 acres of property and the underground tunnels are used to connect each of the buildings. In the tunnels people have seen flickering blue light. In the morgue voices have been heard and on the second floor of Building 11 people have reportedly seen the figure of a nurse walking down the hall and then disappearing. Overbrook Insane Asylum was used in the film Choke starring Angelica Huston. Many crew members had ghostly experiences. One member experienced a satanic dark energy in building five and refuses to talk about it even today.